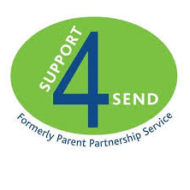 Support4SEND (formerly Parent Partnership Service) provides free impartial information, advice and support to parent carers of children and young people with special educational needs and disabilities (SEND) and to children and young people with SEND throughout Hampshire. We cover the ages of 0 to 25, and offer support for any level of SEND. We aim to empower parent carers to make decisions in the best interests of their child. We do this by offering guidance regarding the different options available so that informed decisions can be made. We never make decisions for people but support them in exploring their options, and where necessary, assisting them to get their views across on an equal basis with the professionals who are making provision for their child. We also offer the same support to children and young people themselves. We also offer presentations to support groups, and organise an annual Special Needs Information Day. How do I get support from Support4SEND? We don’t have a formal referral process, and you do not/your child does not need to have a formal diagnosis. All you need to do is call or email us, and we will discuss your queries and concerns with you. We will also signpost to other services or agencies, if it is apparent that their support would be more appropriate for you. During busy periods, you will find that our answerphone is on. Please do leave a message – we generally manage to return calls within two working days. We will also accept referrals via professionals and agencies, as long as parent carers or young people have given them permission to contact us on their behalf. How can I contact Support4SEND?